“Change is the law of life”, as John F Kennedy said. The big question at present is, what changes will Brexit bring? What will it mean for government departments? For local authorities? For people using services? For businesses? For the way government works? Amidst all the unknowns, one certainty is that we need a civil service able to manage major change effectively – not only new change relating to Brexit, but all the existing transformation of public services. Drawing on the extensive experience of our Operations and Process Management Community of Practice we explore key lessons for managing change effectively. The civil service can be adept at assembling teams and responding to immediate challenges, such as the collapse of Northern Rock and the Syrian vulnerable persons resettlement programme. The new Department for Exiting the EU (DExEU) is up and running quickly, and there will soon be a surge of activity rippling out from departments and the centre of government. But the scale of new changes, on top of the existing transformation of the way public services are being delivered – including complex contracts and delivery chains, extensive devolution and new technologies – will make it extremely challenging to manage the interdependencies, unintended consequences and unexpected consumer reactions. Solution: an effective management system. This is one of the most important findings from our work across government. 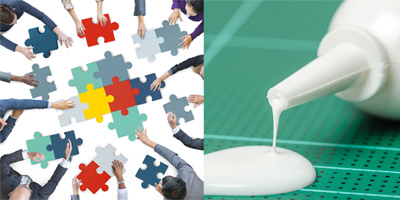 A strong management system is the glue that binds all the strategies, processes, data, learning and development, recruitment, leadership priorities, projects, policy changes, legal frameworks and everything else an organisation has to juggle. Good systems provide coherence, enabling the whole picture to be understood and inform decision-making – as illustrated below. The challenge is to make them work not only across whole organisations, but across government. Management systems able to cope with major change have three key characteristics. (1) Using information to improve: Having knowledge about how the organisation, and its customers, are responding before, during and after change. 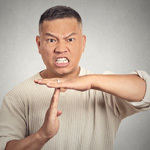 And, crucially, using this information to, firstly, understand the organisation’s readiness to cope before committing to (invariably additional) change; and, secondly, to tweak and amend the approach accordingly – pausing or stopping if necessary. (2) End-to-end perspective: Clarity about how processes work, fit together and interlink with other organisations; enabling service design and decisions to be made for the benefit of the whole system. (3) Learning: There must be systematic learning from experience to improve performance. It’s ok to stop doing things or to slow down the pace of change rather than stressing government services to the point that they fall over, as Sir Amyas Morse said in his Institute for Government speech recently. It’s not ok to make decisions in an ill-informed, out-of-sight out-of-mind way. As practical realities happen a long way from the point of creation in the centre of government, there has to be a way to connect decisions to an understanding of the implications and consequences for service delivery. Government needs to be able to spot the stress signals so it can decide if the system can cope with more. Our recent work on efficiency in the criminal justice system highlights the results of making decisions based on just one part of a wider system. For example, ensuring that courts are in use as much as possible means scheduling more trials than can be heard so that there are back ups when one trial cannot proceed. This leads to costs elsewhere, such as witnesses who spend a day waiting to give evidence for a trial that is not then heard. Similarly our work on discharging older patients from hospitals gives examples of how reducing discharge delays is ineffective if the next step in the system cannot cope with the demand. The impact on performance is measured, including in terms of customer expectations. Crucially, organisations must work together and with the centre of government to look at the cumulative effect, particularly on capacity and skills across government. Change rarely goes as expected, especially when looking right across government, so it is important to know when that is the case and be able to respond. A lack of information, or ignoring it as inconvenient, is risky. New or amended services, on which citizens and businesses depend, might unexpectedly fail. Or consumer response may differ from expectation, undermining plans, as discussed in our blog-post Understanding consumers: it’s crucial. Clarity about how operational processes flow end-to-end to the customer? The necessary operational knowledge and agility to change processes in response to variation in customer demand? Knowledge of how measures link from the organisational level to the operational level? A better shared understanding of how entire end-to-end systems work, whether they are performed by other departments, local government, third parties or users of services. A service-focused, end-to-end view of delivery beyond organisational boundaries, with ways of working and operational measures supporting that ambition. Aligned objectives throughout the end-to-end system, with systems for spotting and dealing with conflicting priorities or motivations. The value of learning from past good – and poor – practice is easy to see. It’s much harder to apply when organisations are under pressure to address an issue quickly and be seen to be taking action, or when there are conflicting priorities to manage – within an organisation or across government. However, it’s not only the public purse that can suffer, but also citizens – especially the most vulnerable – if lessons are not applied well. Organisations and government as a whole need to develop a culture of learning from mistakes and successes. 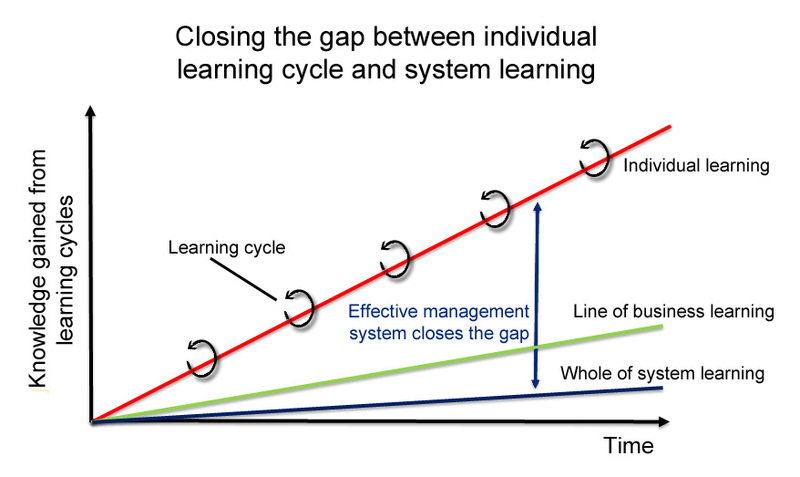 As the diagram below shows, individuals readily gain knowledge from experience – lines of business and systems as a whole are much less able to capture and apply knowledge. But individuals move on and lines of business can suffer from ‘corporate amnesia’, so more formal, systematic, learning systems are needed (as identified in, for example, Assurance for major projects). 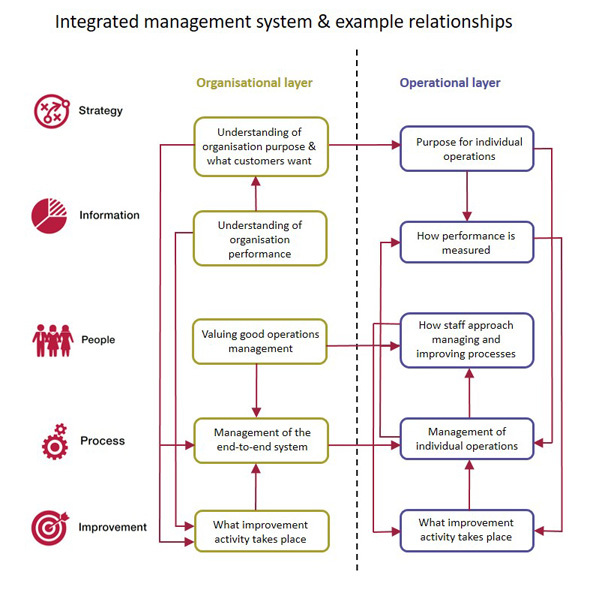 Management systems provide this systematic approach, leveraging information and knowledge across the system into an ever-improving way of doing things. And our report Welfare Reform – lessons learnt shows how government can learn and adapt – ensuring that learning is built into each stage of projects, from planning through implementation and evaluation. Brexit will bring huge change; I don’t know what changes, but I do know it won’t be the end of change. And I know that having more a capable management system, will greatly strengthen an organisation’s ability to cope and implement change in a controlled way, whatever challenges are thrown at it. The road ahead won’t be easy but there is a lot of existing good thinking to draw on. In Managing business operations – summarised in my earlier post, Improving services for citizens – we detail four areas for managing and improving how government organisations work. Across government, a range of professional networks are also helping organisational design and development, including government digital services, policy labs, operational delivery, policy and project delivery. We would be delighted to discuss any of the issues raised in this post and invite you to comment or contact us directly. 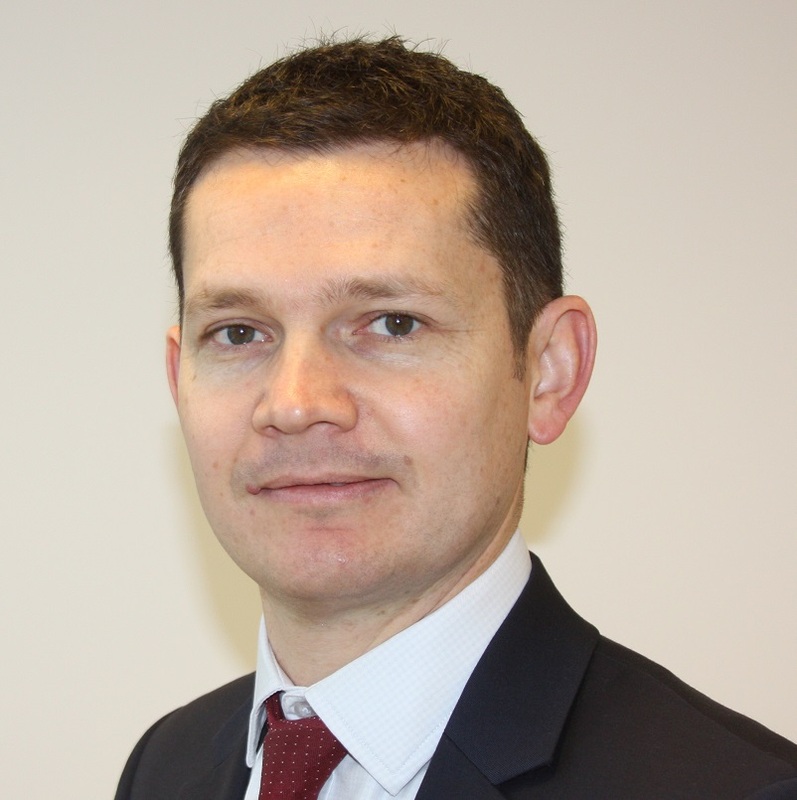 About the author: Alec Steel is head of the NAO’s Operations and Process Management Community of Practice. The Practice is responsible for creating cross-government insight and developing and using approaches to assessing government capability. Alec joined the NAO in 2005 having previously been responsible for improving services in the public sector. He is a regular speaker at international conferences, supporting government thinking in Australia, USA and Europe. He is a guest lecturer for Buckingham University.